(From ITS NEWS, No 2 Initial Training School, Regina, Saskatchewan, July 1942) The Link Trainers, those fabulous machines approached with trepidation by some and with confidence by others, and the Link Instructors, come under two categories on this station. The Visual Link Unit, headed by F/Lt H.E. Cooper, is the one best known by aircrew trainees, since this is the section in which they take their Link periods. Contrary to a fairly widespread opinion, the Visual Link is not an apparatus to teach flying. It is an evaluator; that is, it assists the instructional staff of I.T.S. to discover the strengths and weaknesses of the trainees with respect to their aircrew potentialities. The weeding-out, which is aided by on the link, increases the efficiency of the training scheme in that it removes men from a category to which they are not suited by temperament or capability, and makes them available for other training to which their particular ability is suited. The staff of the Visual Link Unit are: F/0 A. C. Atkey, M.C; F/0 W.O. White, F/0 W.N. Miller, F/0 N.L. Head, F/0 S.A. Hustwitt and F/0 A. C. West. The Instrument Link is used for more advanced training and does not come within the scope of the aircrew trainee's course at I.T.S. In this instrument a pilot is under a hood and flies on instruments alone. However, the whole Link section on this station wilt be more fully described in a later issue. Personnel of the Instrument Link Unit is as follows: F/Lt A.C. Champ, Chief Instrument Link Instructor; F/0 N.C. Boyles, F/0 F. Green, F/0 H. Teskey and F/0 G.F. Mack. But suffered from one most unfortunate kink. And twenty-tenths cloud showing never a chink. That he'd rammed in his finger right up to the brink. Until he was rescued, slept never a wink. That C. was court-martialled and landed in clink. With practically nothing to do there but think. Is by taking small regular doses of Link. Bu dat Goddam t’ing, to floor she’s tie. You fly like Hell for two, three mile. Wit’ system Pierre call "One, two, t’ree"
Dat Link she fly like Hay, Bee, See. Dat needle, she’s like bear to tame. She won’t stay put; she’s h’up an’ down. Got wings and tail, so Pierre tell me. Dat Link she nail’ to floor of stone. But w’en dey give wot’s call’ "de gun"
Dey’s back to where she’s started from. He’s turn to lef’ an’ do odder way. Since he’s been riding on dat Link. An’ now no more in Links he’s fly. To fly dat Link from a Goddam table. on posting from No. 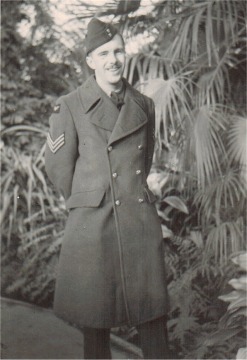 1 S.F.T.S., Camp Borden, in September, 1940.
during his tenure as member of the Link Staff. (From The Standard Photonews, October23, 1943) by JOHN KELLY ITS JUST A STONE'S THROW TO LAKE ONTARIO but hundreds of blue-clad future Fleet Air Arm pilots now training in Canada seldom see it except from the air. Below them, as they roar out over the lake on training flights lies Kingston's 31 Service Flying Training School, an RAF station that is unique. Here Royal Air Force personnel headed by Group Capt. Le Poer trench train Royal Navy men to fly. Acting Leading Airmen, shortened to A/LA which corresponds to Airforce's UAC, wearing a white band, in their round navy hats and an anchor on their sleeve, come directly to the school after finishing their primary training in England. Courses are split into port and starboard watches in place of flights. In charge of Naval subjects is Commander (A) C.N.P. Stringer O.B.E, D.F.C, whose Army, civilian aviation, RAF and Fleet Air Arm experience make him an able Chief Ground Instructor and Senior Naval Officer. Since all graduates will serve with the Royal Navy, they must fly as well as an RAF pilot, must also master torpedo and and low level bombing, short landings, ship recognition, aircraft carrier signals and general naval subjects. Many of the student pilots are already commissioned men who have seen action on board aircraft carriers and other Royal Navy warships. The others joined as ordinary seamen in England. As each class graduates they join the alumni of 31 S.F.T.S. which has in two years produced one D.S.O. and thirteen D.F.Cs. They will be part of the "silent service" that guards convoys, harasses enemy shipping, which has already worked with the navy in landing operations and may well play a vital part when Europe is invaded from the west. No. 5 Air Observers School opened on January 6 1941. 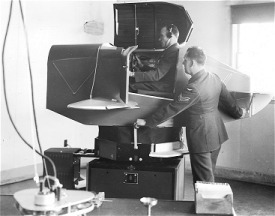 It provided instruction for navigators with training under the British Commonwealth Air Training Plan for 1,575 days, closing on February 17 1945. It took over the location of No. 14 Elementary Service Flying School which was moved to Portage la Prairie Manitoba. No. 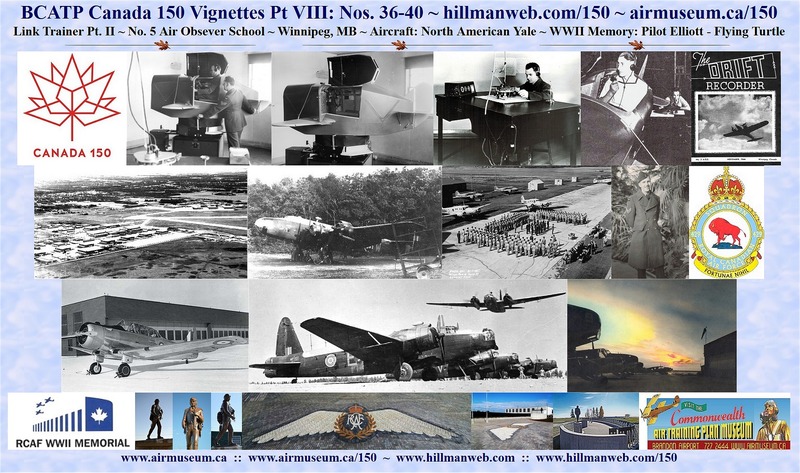 5 AOS was located in Winnipeg Manitoba on 60 acres of land at Stevenson Field on what is now the Winnipeg James Armstrong Richardson International Airport . The school was a civilian operation run by a company known as the Claydon Company Limited, located in St. Vital, now a suburb of Winnipeg. When it first opened, No. AOS employed 130 civilian of which 20 were pilots and the rest were mechanics, ground crew and technicians. 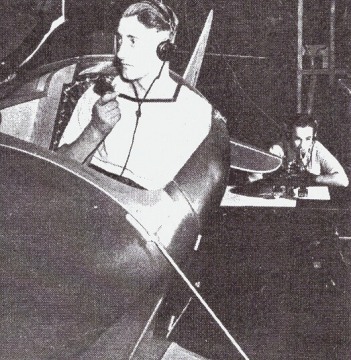 The Royal Canadian Air Force provided instructors for the school. The school relied on the Avro Anson aircraft for training. It had a lot of hangars – some doubles. In 1943, new facilities were built on the southwest side of Stevenson Field. The new school had 33 structures and student numbers increased by three times. Winnipeg’s No. 3 Wireless School moved into the former Air Observer School buildings. Other neighbours included No. 8 Repair Depot which employed 480 employees and the MacDonald Bros wing factory which employed 800 employees. 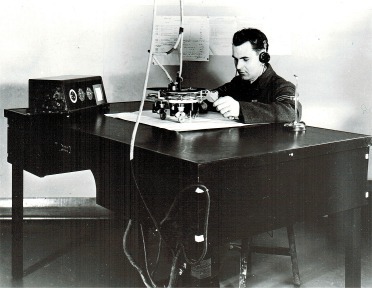 In his work at the Commonwelth Air Training Plan Museum converting British Commonwealth Air Training Plan station reports to searchable text, Harry Hayward ran across the newspaper article below which has strong ties to No. 5 Air Observers School. Station Somewhere In England, Nov.13, 1941. By time you read this letter an anniversary will have arrived, an anniversary of an event which a group of English boys will never forget. Do you remember how Winnipeg opened its new school for observers at Stevenson Field at the beginning of 1941? Now the beginning of 1942 approaches and perhaps you'd like to mention us again. Much has happened in these 12 months but nothing could destroy those three months spent in Winnipeg. I for one made many friends and still hear from them regularly, often with an item of news from the Winnipeg Tribune enclosed. Its good to know that even though such a distance separates us there's still a firm bond of friendship which I hope will never be broken. FIRST ANNIVERSARY Perhaps since that time there have been many groups of observers go through that school, Canadian, Australian, New Zealand, English, even others, but none can have been welcomed with such open arms as we were. Thank you Winnipeg, on this first anniversary of our arrival at the gateway to the West. Although we had six month together in Manitoba, progressing from keen but not too capable navigators in the early stages to fully trained observers by June, our paths since have been wide apart. We separated to various final training units all over England and Scotland. Afterwards some once again departed overseas, some were posted to bomber squadrons. We'll Remember By now all are putting into practice the arts of navigation and bombing learned in a very peaceful situation but now exercised in a different one. We are proud to be helping to get those bomb loads to the target and then to direct the pilot safely home. And what a pleasure it is to land, often at night with very little light, knowing that once again one's small part in the R.A.F. (Royal Air Force) effort has been carried out successfully. Perhaps to end on a sad note. a few are known to have lost their lives. A few others are reported missing after operations. They unfortunately cannot express their appreciation, but we who remain do once again say we'll remember January, 1941, as beginning something we shall never forget. There's always that hope that Winnipeg will be able to give us another welcome in happier circumstances. One of the first class at No. 5 A.O.S. The North American NA-64 Yale is an advanced World War II trainer aircraft used by the Royal Canadian Air Force in the British Commonwealth Air Training Plan. The Yales were acquired to be an intermediate trainer between the Elementary School’s Tiger Moths and Fleet Finches and Service Flying Training School’s Harvards. 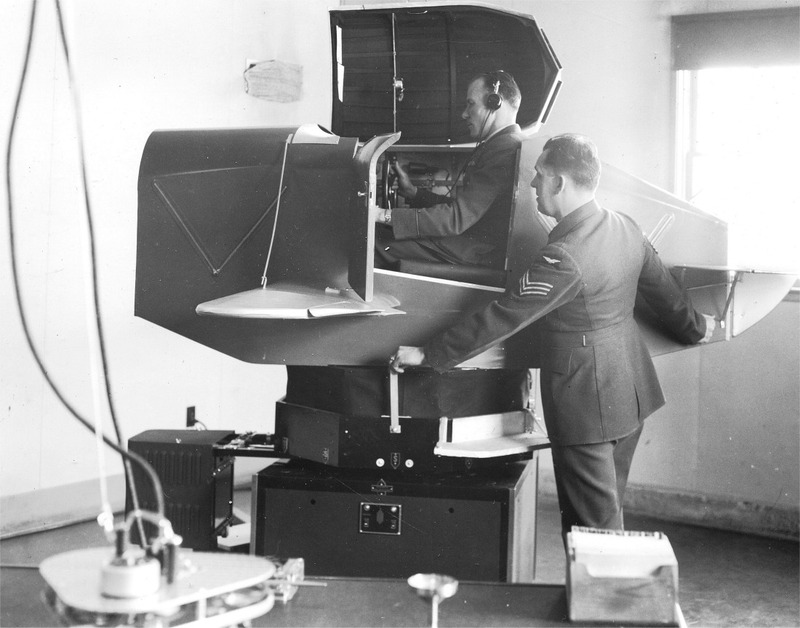 The RCAF soon realized that this step was unnecessary and the Yales were relegated to duty as radio trainers. 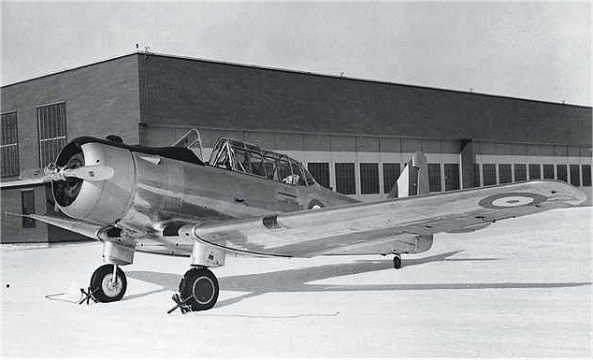 The Yale was not originally intended for use in the `Plan,’ but when the opportunity came up to acquire a fleet, the RCAF took advantage of the offer to ease the shortage of dual control trainer aircraft. In 1940, the French Air Force was in the midst of receiving an order for 230 Yale aircraft. When France fell to the German army, 113 aircraft had been delivered and another 119 were completed and awaiting shipment from the North American Aviation plant in Los Angeles. The Germans adopted the captured Yales for use as trainers in their air force. They were in service until the availability of spare parts ran dry and the aircraft became unservicable. The other 119 were taken by the RCAF under agreement with North American Aviation. At the end of World War II, the RCAF sold all remaining Yales as scrap. Approximately 30 escaped the scrapper’s axe. Fifteen are currently flightworthy. Based on the North American NA-16 Harvard design, the Yale was given a longer all-metal fuselage which was superior to the Harvard fuselage. Other modifications included moving the fin backwards and engine forward, the latter in order to maintain the aircraft’s centre of gravity. 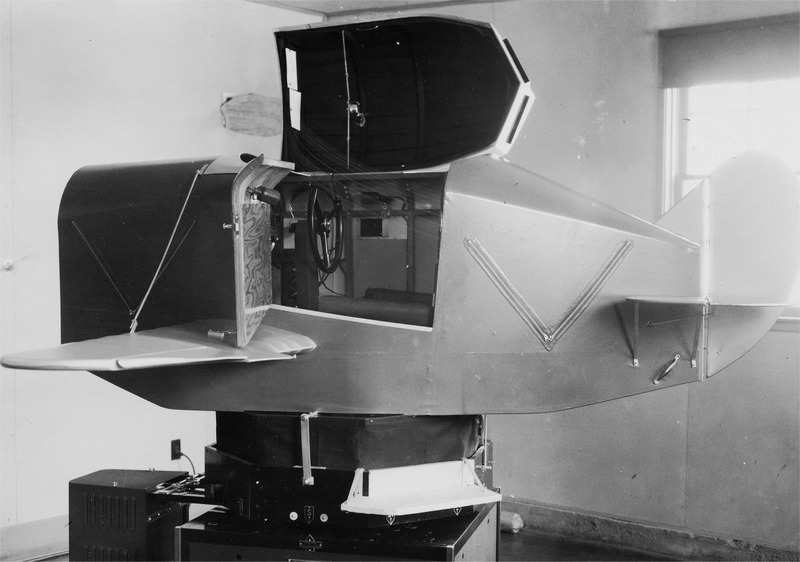 Changes to the rudder and adoption of a wing design inferior to that of the Harvard, as well as receiving a less powerful engine caused the Yale to handle differently and with lower performance than the Harvard. A main difference between the Yale and the Harvard is that the latter had retractable landing gear. The North American Yale was used at four Service Flying Training Schools, No. 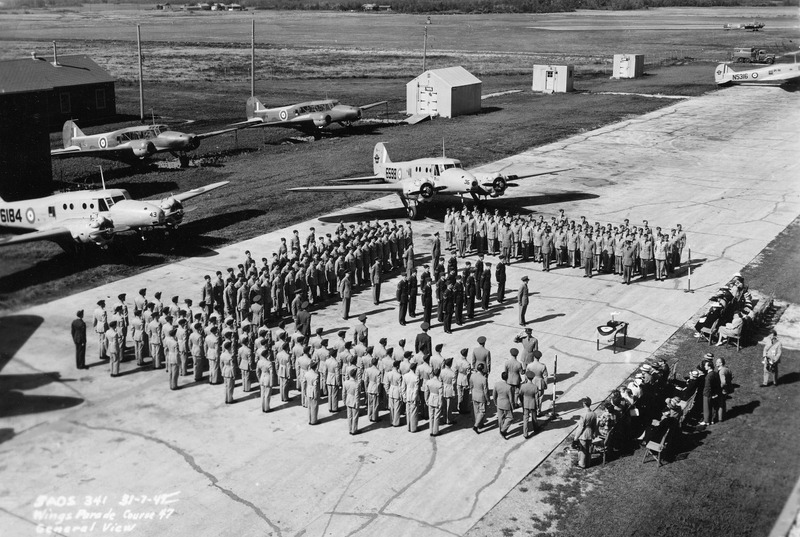 1 Flying Instructor School in Trenton, four Wireless Schools and as an operational aircraft in one communications squadron and one in a fighter squadron. Yale 3462 is owned by the Commonwealth Air Training Plan and is awaiting resources to finish restoration to flightworthy status. It was taken on strength by the RCAF on November 29 1940 at No. 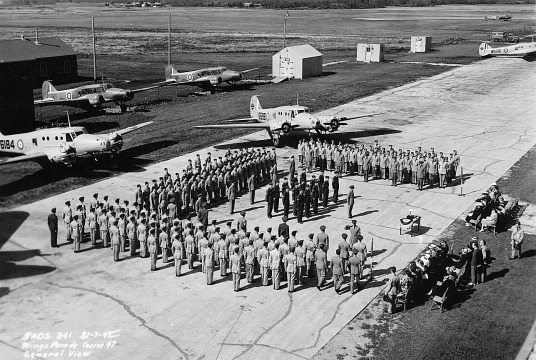 14 Service Flying Training School in Aylmer Ontario. It was redeployed to No. 3 Wireless School in Winnipeg Manitoba. While at No. 14 SFTS, it was involved in a Category C crash. When it was struck off strength by Canada’s War Assets department on July 20 1943, the airframe had 2,110 hours on it. The North American Yale has a maximum/cruise speed of 166/146 mph. Its range is 730 miles at cruising speed and is capable of five hours flying time. Its service ceiling is 17,500 feet. There was no armament on RCAF models. North American Aviation opened for business in 1928. It was acquired by General Motor’s general aviation division in 1933 which moved production facilities from Maryland to California and changed the company’s focus to building training aircraft. During World War II, North American expanded operations into Ohio, Texas and Kansas and became the eleventh highest producer of military products. In 1948, General Motors let North American go to become a public company. In 1967 North American merged with Rockwell-Standard of which the new company became known as North American Rockwell. In December 1996, Boeing acquired the company. North American Aviation had an incredible history related to the development and production of advanced aircraft, especially its military versions. Other remarkable aircraft produced by North American include the Harvard (T-6 Texan) trainer, P-51 Mustang fighter, B-25 Mitchell bomber and F-86 Sabre Jet. North American also played a significant role in development and flight of the X-15 aircraft, the Apollo Command and Service Modules, the Saturn V rocket and the Space Shuttle. In September of 2000, Hugh Elliott submitted an email specifically answering questions related to the Commonwealth Air Training Plan Museum’s oral history project. It was thorough and interesting account in his time in the British Commonwealth Air Training Plan and RCAF operations overseas. Home town and birth place was Hamilton. Manning Depot Brandon Manitoba, 1941, one month. was rough but then moved to the exhibition buildings and things were much better. I made friends with Neil Depew while in Brandon and we stayed together and went overseas together. He was killed in action in 1943. The tent city and exhibition buildings he refers were located in what is known as the `Fair Grounds’ to residents of Brandon. 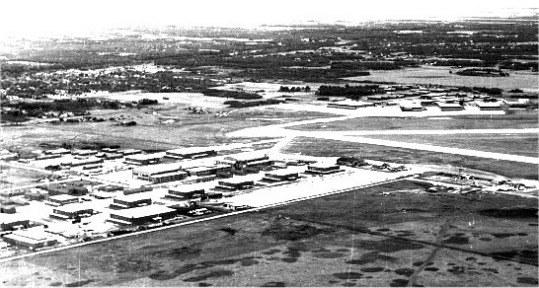 During World War II, the fair grounds and a significant part of southern Brandon was home to the Canadian Army’s A4-Artillery School. Tents and exhibition buildings were temporary for No. 2 Manning Depot pending completion of renovations for the home of the airmen in Brandon. ITS at Regina during the Winter of 1941 (not sure of dates, log book destroyed). 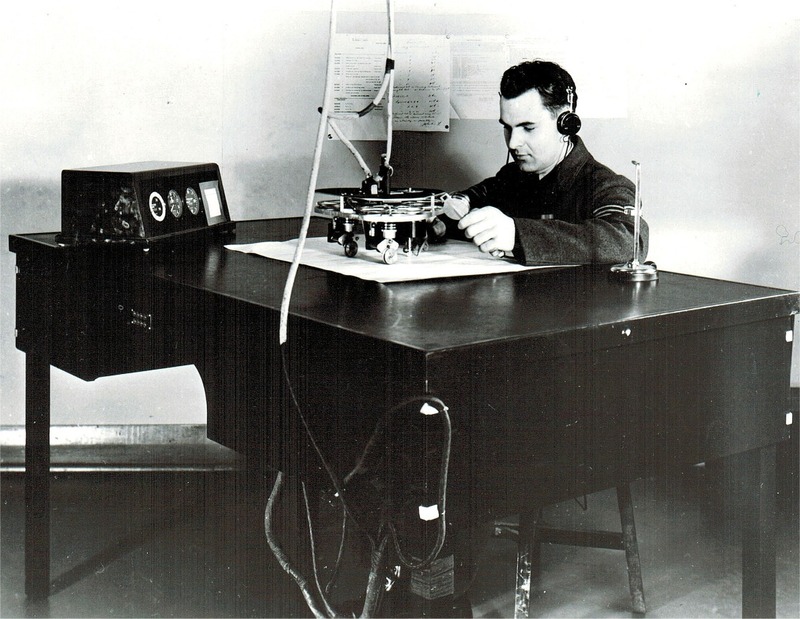 Classes required were Navigation, Radio, Theory of Flight, Engine Theory, Morse Code, Aircraft Recognition. I wanted to be a pilot and during my initial training period i was selected to be a pilot. Some others were not so lucky and were selected as Navigators etc. Medical testing was rigorous - eyes for night vision, colour blindness, etc. Also Link training to see if you had the aptitude for flying. Elementary Flying Training School (EFTS) was done at Regina on Tiger Moths during the early spring of 1942 and lasted for about three months and about 50 hours of flying. Service Flying Training School (SFTS) was done at Yorkton Sask. on Cessna twin engine aircraft and lasted about four months and 150 hours. The instructors were excellent both at EFTS and SFTS and the morale of the men was good. They couldn't wait to get overseas, in fact a New Zealand pilot with the same name as mine who was selected to be an instructor wanted to change places with me, He wanted to go o'seas so bad, Needless to say I refused. I got my wings in September 1942 and proceeded on embarkation leave in October. After leave we proceeded to Halifax and after 2 weeks we went aboard the QE 1 with 13,000 soldiers and airmen, After 4 days of calm seas we landed in Greenock Scotland and from there to holding depot at Bournemouth. Specialized Advanced Training in Rugby. AFS (Advanced Flying School) training was done on Oxford twin engine aircraft and was mainly to get in some more night and instrument flying and get accustomed to English weather and flying conditions. The living conditions were also different since we were living in Nissan huts with no central heating and in the winter the small Quebec heater would go out at night and the washing water would freeze until we got the stove going again. The night life was different and most nights were spent in the pubs playing darts or having a sing song. It was at this station that I received my commission as a P/0 - from then on living conditions improved and it was also here that I met my future wife. From here we went to OTU, Operational Training Unit. The OTU was at Wellsbourne Warwickshire, and the aircraft I flew was the Wellington. At the OTU we were teamed up with a crew consisting of a navigator, wireless op, bomb-aimer and a tail gunner. The Wellington was a good rugged aircraft and was the mainstay of bomber command in 1943 until it was gradually replaced by the Halifax and Lancaster. At the OTU we practiced day and night bombing (practice bombs) simulated raids, fighter avoidance and in general got to work efficiently as a crew. I later became a flying instructor on the Wimpy (Wellington) after I completed my tour of ops. After OTU I was posted to an operational squadron 429 in April 1943 .My first raid was as second (dickey) pilot with another crew and was to Essen in the Rhur Valley, considered a hot target because of its location and defenses. I did my first raid with my own crew to Dusseldorf in the Rhur Valley witch wasn't very bad ``a piece of cake" as we called it partly due to the fact that the (dam busters) had broke the dams and flooded the Rhur Valley putting out most of the search lights, which were a big worry for us because once you were "coned" it was difficult to get out of let alone to see out of the cockpit. The weather cleared over Europe for a week or so and in order to keep our hand in we did some training "bullsyes" over London, These were simulated raids to give the search light crews and ack-ack gunners some exercise. Then I was posted to North Africa with 425 Squadron to help with the invasion of Sicily and Italy, My earlier story (to be posted online in Canada 150 vignette No. 40) about The Flying Turtle details my flight to Africa and some of the conditions. We had one close call on one of our trips. We were flying one aircraft at a time over the Messina straights at 5000 feet when the search lights from both sides of the straights came on and coned us, We could feel the exploding shells right under our aircraft , We took evasive action and ended up close to the water and out of range of the guns. Some hydraulic lines had been severed and a number of holes in the fuselage but no one was hurt except the rear gunner who had a bump on his head from the violent evasive action. The rest of the flight was uneventful. We returned to England by boat in October 1943 and I was reclassified as an instructor at an OTU on Wellingtons at RAF Station Gaydon. I remained at the OTU until my return to Canada in March 1945. My wife did not return with me and I did not see her again until July 1946. On my return to Canada I went back to College until my wife joined me. I re-enlisted in 1949 in the RCAF and served until my retirement in 1964. Hugh Elliott passed away on June 11 2011 in Guelph Ontario in his 92nd year. In the next Canada 150 Vignette we present Hugh’s story of the Flying Turtle. 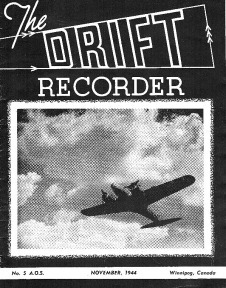 This is Part II of Hugh Elliott's submisson to the British Commonwealth Air Training Plan Museum's Oral History Project. Having completed BCATP training in Canada and Britain and operations in a Wellington Bomber over Europe, Hugh and his crew face new challenges in Northern Africa. Vickers Wellington Mk. 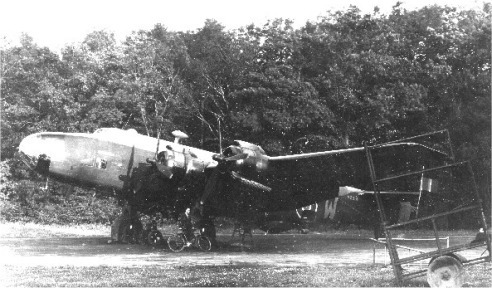 II bombers of No RAF No. 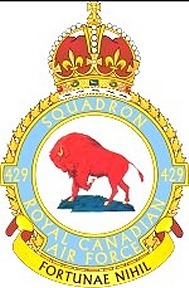 38 Squadron in Libya. This little story of the Flying Turtle begins in the spring of 1943 at the Wellington squadron in Yorkshire England. While on one of my leaves from the squadron the rest of my crew volunteered me to go to North Africa as a replacement crew for one the 3 squadrons that were already there for the Africa Campaign, Since the wheels were already in motion I could not back out. This meant that I had to change my plans to get married (that is another story) since they wanted me to get ready to go right away after embarkation leave. 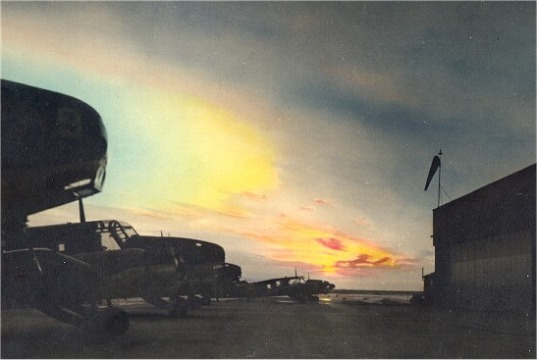 My crew and I arrived at a base in southern England and were equipped with tropical gear and khaki uniforms and a brand new Wellington aircraft ,so new in fact that we had to put a number of flying hours on it in order to iron out the bugs. Our route was from the southern tip of England across the bay of Biscayne, which was patrolled by German long range aircraft, around Spain and make landfall at Port Lyauti in Morocco, North Africa. After refueling and equipping the engines with sand filters we took off for Algeria which was to be our main base. From our main base we were taken by truck to our squadron which was on an old lake bed in the desert with sand runways. All the "buildings" were tents of various sizes and the latrines were holes in the ground with a fence around them. Not a very inspiring site having left the comforts of England a couple of days ago. We even had to pitch our own tent which held four and was to be our home for an indefinite period. Water was a scarce commodity which had to be trucked in from a town about 10 miles away, Needless to say showers were few and far between until were able to rig up a pump to a well built by the Germans (the previous owners). The next day I was "introduced to my aircraft," a beat up dusty Wellington that had seen better days in contrast to the shiny new one I brought down (no doubt a senior officer had that). We "air tested" our new X for Xray and confirmed it was not in very good shape. A check of the records showed that it had suffered some damage on a previous operation and was very slow compared to other aircraft, however it did fly and the engines sounded good. After a few raids over Italy it was confirmed that it was slow with a bomb load but seemed ok after we dropped our bombs and we could keep up with the rest of the squadron .I then suggested that we should take off a little earlier than everybody else in order to get there at the same time, The CO granted my request. My bomb aimer suggested we should name the aircraft the Turtle, We all agreed and had an "artist" on the squadron design and paint a picture of a turtle with wings carrying a bomb and the inscription "slow but sure." A picture of a bomb was added for each operation the aircraft made. The whole operation was such a success that after about 46 trips we decided that the "old lady" deserved the DFC so it was painted on her nose along with the bombs. It was pointed out later that the stripes on the DFC were angled the wrong way but I don't think the old lady would mind. The Flying Turtle was retired when her engines were "time expired" and due for an engine change. After the war I heard a group of children commenting on a comic book about war exploits and about a flying turtle, Sure enough it was about my aircraft. A war correspondent that was covering the North Africa campaign heard the story and submitted it. Along with a couple of pictures. Hope this is what you want, If not I will try again. Good luck on your project.